The consequences of Google's crackdown on scraped ranking data. What the next battleground is in the search engines' war against spam. 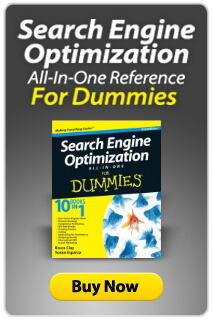 2013's SEO buzz words: Google's Knowledge Graph and structured data optimization. Bruce's 2012 Predictions Scored: How Accurate Was He? Growing demand for search conferences, training and education. Greater frequency of local results in the SERPs and national brands forced to compete against local businesses. More SEOs practicing IMO (Internet marketing optimization), expanding their attentions beyond search. Why Japan was focused on link pruning and ROI reporting. Europe's SEO multilingual challenges for businesses online. How the Australasian search marketing community was focused on White Hat SEO. Predictions are a hot commodity this time of year. As we look into the future at the helm of 2013, it’s in our nature to imagine what’s in store. And there’s been no shortage of marketers weighing in with their predictions for coming year. The SEO Newsletter features Bruce Clay’s prediction for the state of search, and our Back to Basics article analyzes how well he did with last year’s predictions. But what are others saying? Here, we’ll take a look at a few of the predictions for digital marketing in 2013. Rand Fishkin over at SEOmoz offered up 10 predictions for the coming year, one of them a forecast for co-citation and its impact on search rankings. “Co-citation” is a term he used to describe sites ranking high for queries when those sites seem to be devoid of optimization for those specific keywords. Over at HubSpot’s blog, a roundup of eight predictions for 2013 included more context in the content that marketers create. The forecast stated content will become more personalized to the needs of the audience, as marketers learn more about their needs and wants over the months and years a brand is engaged with its community. Over at Search Engine Land, Nathan Safran of Conductor recaps dying trends and areas that are heating up for the coming year. Based on survey data, the No. 1 goal for SEOs in 2013 is improving content development strategy. Safran placed mobile in the “cold” category, suggesting it’s still relevant but according to Conductor research, only makes up 11 percent of organic search traffic. As small business owners realize more and more the importance of online visibility to their company’s success, and as marketers face the continued convergence of digital marketing disciplines, expanding SEO know-how and continuing education is essential in 2013. There’s countless opportunities to learn SEO or get your continuing education from Bruce Clay, Inc. in the coming year. 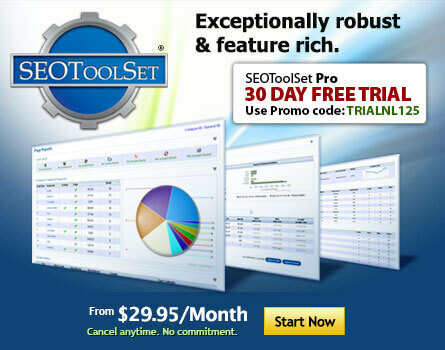 In the U.S., our SEOToolSet training is face-to-face and held six times in 2013, right in our Southern California classroom. Our Standard course is three days of white hat SEO methodology, tools and tactics. Our advanced course follows our Standard class and covers more in-depth material during a day and a half. Sign up for both or take them separately -- it’s up to you! Bruce Clay Europe holds annual training as well, dates still TBD. To check dates, call +39 (02) 3809 3229. If you can’t make it to one of our courses, Bruce Clay can come to you! We offer in-house corporate training for groups. Contact us at (866) 517-1900 for details. SEOmoz acquires GetListed, a local business online listing service. President of GetListed David Mihm joins the Moz team in the move. Small businesses shuffled over to Facebook for marketing in 2012, as numbers recently released show 40 percent growth in local pages for businesses on the social network. Cloud Sherpas, a company focused on moving organizations into the social mobile cloud, acquires Cloudtrigger, a consulting group that services Salesforce.com Service cloud customers. This makes the eighth acquisition for Cloud Sherpas. Pinterest makes its first acquisition in Punchfork, a recipe-sharing website. Founder of Punchfork Jeff Miller says the Punchfork team "will focus on contributing to Pinterest as the premier platform for discovering and sharing new recipes and other interests on the web." Bruce Clay presents a three-day SEO training course in Dehli, India February 5-7. SES London takes place February 18-21. OMS San Diego is happening February 11-13. SMX West San Jose is held March 11-13. PubCon South New Orleans will be April 22-25. Doodle 4 Google kicks off this month, giving kids a chance to have their artwork featured on the Google home page, as well as a $30,000 college scholarship and $50,000 technology grant for their school. Happy birthday to SMS, as texting turns 20. The first-ever text message was sent December 1992 by software engineer Neil Papworth to Vodafone director Richard Jarvis, saying, "Merry Christmas." Google gave us a time to reflect on 2012 and what mattered to us with a video montage based on more than a trillion searches last year. Professional organization SEMPO calls digital marketers to participate in the annual Search Marketer Salary Survey, open now for response. The data collected gives insight into search marketing salaries worldwide. One respondent will be chosen for a Platinum Pass to the SES NY conference. Word is Apple might be looking into a possible acquisition of smartphone app Waze — an app that's already a data partner for Apple Maps. This is after speculation Apple could acquire Foursquare to solve its map issues. The rumor mill was at it again when there was talks of Google possibly buying Groupon. These rumors proved fruitful for Groupon as its stock soared, some believe due to the possible upcoming transaction. There was talk about a Google crackdown on use of its AdWords API late last year, and a panic over what that meant for Raven Tools and SEOmoz's search marketing tools. According to reports, Google denies this enforcement is anything new or different than how it's always been. In a similar story, news caught wind that data provider Ahrefs.com is discontinuing its keyword tool due to using scraped data that violates Google terms of service, effective January 13. Added support for Google.ch in our ranking monitor. Revised translations on sign up pages.